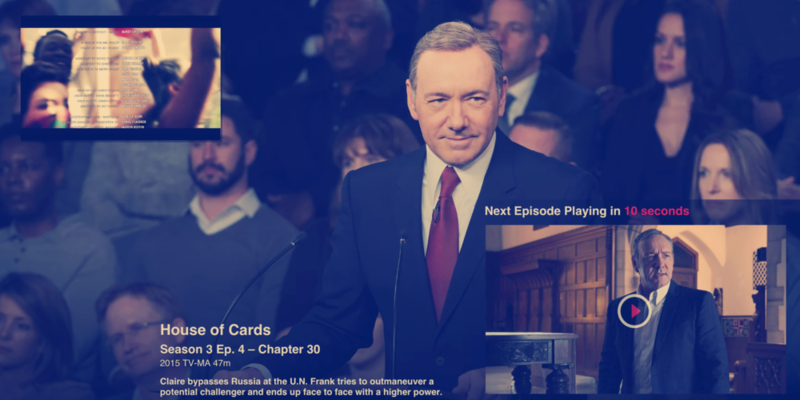 With the latest release of "House of Cards," certainly one of the more powerful binge-watch-inducing products, I was thinking that the industry is not keeping up with how people consume the new. And this is not just about television. In January, Dan Reimold, a college professor at Saint Joseph’s in Philadelphia, asked his students what they were currently “bingeing” on and the answers were varied, surprising and a bit revelatory. Certainly vices were represented in answers like “I binge on cigarettes” and “I binge on Wendy’s.” As were media properties, “I binge on Pinterest,” “I binge on car reviews,” and “I binge on Vine” showing the gravitational pull of content, whether it is horsepower or artfully arranged hay bales. Carrots and ranch dip bingeing? Irrefutably better than the cigarette binge. But look deeper at this student’s answer and you see a verbatim noting, “If we don’t have either carrots or Marzetti ranch in my house, I will have words with my mother.” That is one proof point of how when people want something, they want it on their terms. Some of these answers stretch the definition of what a binge is. In that they don’t take huge chunks of time to reach that satisfying binge end like with streaming TV weekends. That cathartic moment that feels like bursting to the surface after diving down to the bottom of the deep end. In 2013, the Netflix Binge Watching survey via Harris Interactive in Nov. 2013, surveyed 3,078 adults 18 and older, half of whom streamed TV at least once a week. And they found this same “refuge from their busy lives” feeling was experienced by binge TV watching in 76% of their respondents. Another connection between the college students’ answers and the Netflix study was what I will call, “content squirrelling.” For Netflix users, the survey noted that 39% of them “save” TV shows to watch at a later date. One college student admitted to bingeing on magazines and hiding them in her closet, only to dive into them during holidays at home. So how do brands capture some of this magic? Spread a little of this binge-beginning umami on our work? Make what we have to offer exude that indefinable quality that makes you want to consume it all right now, except maybe tuck away a bite in the back of the larder for later bingeing? Stop with the teaser campaigns. Short of the newest, most anticipated films, no one wants to be “teased” about what’s coming. They want it. They want it on their terms. They want it when it’s ready. Teaser campaigns are like half-court shots: stunning when they go in, but all too often they hit nothing at all. Fix the content calendar crisis. The industry creates a lot of content. I believe we still create far too little content. We live in a world where people refresh pages multiple times in a minute looking for something new around the things they love. Be it car reviews, sneaker releases or recipe inspiration. We overly curate and stifle the content, instead of feeding it at the speed of consumption. Fix last-century pulsing. In retail, offers are often pulsed based on a weekly calendar, the old newspaper Sunday coupon section. Still quite effective, yes. But why can’t we offer a month of savings at the beginning of the month, and the customer can decide which offer they want to use and when? End boredom at brick and mortar. Especially in grocery, it is hard to find the new. And new can inspire and drive incremental purchase and create instinct to look for what’s next. Just like that countdown on Netflix to the start of the next show. Let’s find a way to feature all your new products, each week, in a bold way. Build a world around your hits. When you have a hit product. Hit ad. Hit event. Build out the world around it. Fast. You think you do it fast. You don’t. We, as clients and agencies, work far too slow to seize the magic that consumers desire for bingeing on a new like. But make that world limited. The defined amount to consume, from # of episodes to # of sneakers to buy has to be known at the beginning. No open ends.